Have you thought about our lamp reminder service? Our product range encompasses high performance fluorescent, LED and metal halide lighting systems for aquariums and ponds. 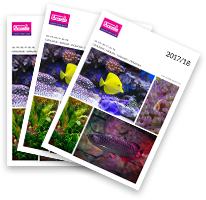 We produce lamps, fittings and accessories for both Marine and freshwater aquariums and are widely regarded as the technical lighting experts in aquatic lighting.